We’d love your help. Let us know what’s wrong with this preview of The Atlantis Plague by A.G. Riddle. 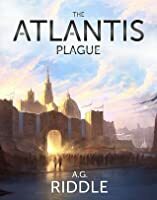 The Atlantis Plague is the second book in The Origin Mystery, the blockbuster trilogy that has sold over two million copies in the US, has been translated into eighteen languages, and is in development to be a major motion picture. _______ The Atlantis Plague is the second book in The Origin Mystery, the blockbuster trilogy that has sold over two million copies in the US, has been translated into eighteen languages, and is in development to be a major motion picture. Published November 16th 2013 by Riddle Inc.
To ask other readers questions about The Atlantis Plague, please sign up. I enjoyed reading this book very much. I did some side research on the information referred to and found much of it was at least seriously discussed in the science world, much of it seemed to be serious science. The most unbelievable parts were based on real science. That added a lot of credibility for me, dispensing with the disbelief thing, helped me get in to the story better and added a lot of interest. I now want to follow up on some of the ideas just because its so interesting. The story co I enjoyed reading this book very much. I did some side research on the information referred to and found much of it was at least seriously discussed in the science world, much of it seemed to be serious science. The most unbelievable parts were based on real science. That added a lot of credibility for me, dispensing with the disbelief thing, helped me get in to the story better and added a lot of interest. I now want to follow up on some of the ideas just because its so interesting. I spent 75% of this book confused and millimeters away from not finishing at all. The plot is convoluted. Too much to try to keep straight. The sci-fi gets so "advanced" that it's more like magic and with about the same amount of explanation. It was a bit too convenient that one of the main characters was an Atlantean (alien) and KNEW just about everything the plot sought to answer, but didn't happen to remember whatever Very Important Point until some dramatic moment (when the clock ran out). Said character basically solves everything with a wave of a wand at the end, with no real plot reason it couldn't have happened sooner. All the running and fighting and struggle and death were somewhat suspenseful, but in the end, rather pointless when all they needed to do was just let this character remember. That said, I -did- care enough to keep reading. The ending, while a bit disappointing (see above) and not quite enough (because: sequel) was still at least satisfying enough that I didn't hate it. A.G. Riddle’s second offering in The Origin Trilogy again offers a fast-paced adventure wrapper around a complex plot weaving fiction with hard science and true history into a story delivering more twists than a bag of taffy (the Berlin Patient cured of HIV is factual). Fans of science-fiction will want to not miss this debut trilogy from a writer who will become a major player in the genre. 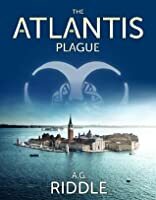 The Atlantis Plague picks up right where The Atlantis Gene left off, and is just as complex, meaning the r A.G. Riddle’s second offering in The Origin Trilogy again offers a fast-paced adventure wrapper around a complex plot weaving fiction with hard science and true history into a story delivering more twists than a bag of taffy (the Berlin Patient cured of HIV is factual). Fans of science-fiction will want to not miss this debut trilogy from a writer who will become a major player in the genre. 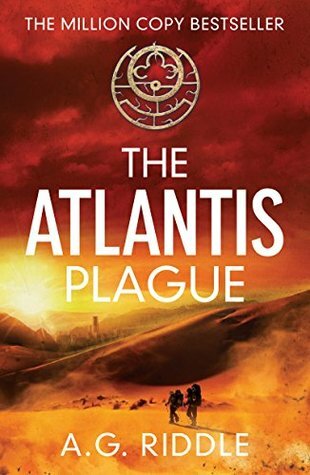 The Atlantis Plague picks up right where The Atlantis Gene left off, and is just as complex, meaning the reader cannot pick up the thread of the story without reading the first book. Historical events in humanity’s ancient past and recent past are tied to the present in rather ingenious methods. Some readers have complained about the historical and scientific references making the story difficult to follow. I won’t lie. The story would be confusing to a person without an interest in history and science even though explained in the text of the story. If you read deoxyribonucleic acid as “de-blah-blah-blah,” you probably won’t enjoy the story. Most aficionados of the genre will probably be delighted with the combination of reality and fiction, but purists may be irritated by the artistic license taken with some matters. It was difficult to really empathize with the protagonists because the characters were not developed enough in the first installment. That flaw was somewhat rectified in The Atlantis Plague, but some of the characters still felt two dimensional. I became a little distracted with the romantic element of the story, and the frenetic pace was almost too much action leaving me feeling I was reading a movie script rather than a novel. Between the romance and action, I felt certain required “formulas” almost detracted from the meat of the story. As our protagonists are searching for a cure for a pandemic threatening the human race, they are dealing with the apocalyptic chaos, confusion and conspiratorial factions ripping apart the fabric of human society. The saccharine-sweet aspect of the romance seems a little out of place. Most readers enjoyed the second book of The Origin Trilogy more than the first. I’ll admit I hit one or two spots in the second book where I wasn’t certain I would persevere. I’m glad I did. Although this debut work is not spotless and portions felt they could use more polish, the storyline is imaginative, and I’m certain that as A.G. Riddle grows as a writer, we will be rewarded with first-class thrillers and science-fiction. The readers who liked the first installments of the trilogy will be delighted by the climactic and unpredictable ending of the series which makes it all worthwhile. I really liked the first book in this series so I am shocked at how BAD this one is. The story just drones on and the plot is often overly-detailed and your attention tends to drift while reading it. There is very little action. The author knew where he wanted to take us but did a poor job of taking us there. The characters I liked so much in the first book changed significantly, often for the worse. Their jobs changed significantly. The evil people didn't seem to have m Muddled story, boring plot. The characters I liked so much in the first book changed significantly, often for the worse. Their jobs changed significantly. The evil people didn't seem to have much effect on them. Suddenly, I didn't care that much what happened to them. The conspiracy was revealed in the first book, so the author seemed to have trouble figuring out what the characters should do and talk about. Second book in series, follows The Atlantis Gene. When I finished reading The Atlantis Gene, I thought: Wow, I want to know what's next! I checked A. G. Riddle personal site for updates at least couple of times a month, until I saw that the second book was available on Amazon! Overall, the ending of the Gene (I'll call The Atlantis Gene so) was in my opinion, a bit hurried, like the author didn't have enough time to finish the book. So that several important events were described on the last coupl Second book in series, follows The Atlantis Gene. Overall, the ending of the Gene (I'll call The Atlantis Gene so) was in my opinion, a bit hurried, like the author didn't have enough time to finish the book. So that several important events were described on the last couple of pages (I'll try to avoid spoilers for the readers who haven't yet got their hands on the books). The second book starts off even more rapidlyю The reader knows that the world is going to end because of the plague, and Kate is working on a cure (unsuccessfully). David experiences some very disappointing events (no spoilers!). And as a matter of fact, we become aware that the chain of events that caused the plague leads to the alien race, who interfered with our genes. I must say, I'm not a big fan of aliens in books. More so, the first book made the described events very realistic, so that I could even imagine something like that happening. But the aliens? Come on. It just puts me off, since I find that hard to believe. The scientific explanations make the matter even worse. First, they appear more frequently than in the first book, and are quiet lengthy, and seriously, if I wanted a lecture on the cure for HIV, I could just visit Wikipedia. Second, science in the book supports the plot, gives a basis to the events and justifies actions of the characters. But when the science becomes entangled with the aliens, whom you cannot doubt since they ARE the main characters, this what I find irritating. Overall, if you ask me, I would read the third part. And this is going to be a third part. Do I think that the second book was bad? Not, of course it wasn't. This was a book that got better and better page by page. The true definition of a page turner. Can't wait to read the final book. It was hard to keep up with all of the players and the different sides of the activities, but it was a wild, wild ride, and I absolutely cannot wait to see what is going to happen in the final book. I what to see David and Kate again. I am glad I had the ebook at my finger tips as I was listening to Stephen Bel Davies narrate the audio version to me. Great read! Couldn't put it down! I absolutely loved this book. It was just as good or better than the first book. It had everything a great story and adventure needed: suspense, the perfect amount of romance, action, mystery and thrills. I can't wait to read the end of this trilogy. If you liked Dan Brown's, The Davinci Code or Digital Fortress, you'll love this series. Thank you to the author for allowing me to experience your wonderful story. It took me a bit longer to get through this ones… Once again we have a Science Fiction Novel, heavy on the Science Part. This was again a part I really enjoyed but one had to concentrate, so one would not miss an important sentence or explanation. As in Part 1 we do have a lot of characters which is sometimes a big confusion to actually keep all story lines in your head and remember who is striving for what goals…. The characters grew a little distant for me. I really liked David in Book 1 but here he just became this super dude who was quite arrogant and could do pretty much everything. There was no one really left who I really cared about…. I did not like the ending. What I understood about the plot (please tell me if I missed or misunderstood something) was that the Atlantians had been attacked by some superior race who wanted to kill all and anything Atlantian so sooner or later they would come to earth and kill all humans, because of their Atlantis Gene that was given to them thousands of years ago. 1. So Dorians Plan was to activate this Gene to build his super army to fight against this superior race. 2. Kate just wanted to save everyone. 3. Janus wanted to deactivate this gene to save everyone but with this devolving humanity back to the stone-age. 2. Okay maybe you saved everyone for the moment bus you just prolonged everything. Dorian is still out there trying to build his army and this other superior race is looking for you and wants to kill you. So yeah…. 3. Seriously? This would have promised a really interesting book three!!! Humans that were devolved back to the time of the stone-age living in a world created by a species higher on the evolutionary ladder? I would have read that book!! Yes, I hoped Janus would achieve his goals just because it would have been really interesting to read what would have come after that! From the beginning, I was thrilled. This was because I was now reading from a viewpoint I had very much hoped might be included. It didn't disappoint and in fact, only became more and more intriguing. I'm not a fan of religion (an understatement) but really didn't mind the links which were sewn here. Of course, I have already started on the third and I'm now hoping there will be future excursions into this rich and clever story. Riddle went from a good writer to a great writer with The Altantis Plague. What was started in The Atlantis Gene picks up fantastic momentum and nuance in this story. The book is both character and story driven. So many are one or the other. This sci-fi thriller has it all - action, adventure, alien technology, twisty plots and intrigue. Riddle is one of my favorite new writers. I forgot that I was reading the story. It felt like I was in it. I highly recommend this series. Akhirnya pekerjaanku selesai. Dengan ini, aku menyatakan untuk memasukkan genre fiksi-ilmiah ke dalam rak bukuku. Entah bagaimana, walaupun sering kali tidak mengerti dengan apa yang dijabarkan, aku menikmati setiap kalimat yang ada di dalamnya. Ceritanya tak membosankan, dan alur cepat dan tak mudah ditebak menambah kenikmatan membacaku. Kate dan David bisa menjadi pasangan favorit. This was just as captivating as the first. I can't wait to start the Atlantis World and see what happens next. I know I won't be disappointed. I highly recommend this to anyone with a passion for science and the unknown. The second installment of the trilogy did not disappoint. Loved the historical and anthropological references would highly recommend it to everyone. And I cannot wait for the movie! This one sat and sat in my book drawer. Why was that you old twit eh ? I'd realised early on that by adopting a scatter gun approach to picking up books when I came across them, I ended up with volume 3 of this, volume 2 of that and so on. And so it was to prove in this instance. No idea where I found this copy, more than likely a Oxfam or a Screw Ryder shop I suspect. It was like new. Don't think it had been read. I wonder why. I liked the cut of it's jib. Interesting cover, interesting screed on This one sat and sat in my book drawer. I liked the cut of it's jib. Interesting cover, interesting screed on the back. Apocalyptic it said. Ah, we are in Walking Dead territory then. Worth looking for the first one in this trilogy. I was still recovering from the awfulness of Steve Alten's second bite in his horribly boring Mayan Trilogy so I chickened out and headed for the relative safety of Christian Cameron's Greek series. So the first novel in this series' was acquired (from Amazon, where the postage costs are more than the book itself and it takes about 2 weeks for the sender to find the dang thing and stuff it in the post). Jimmy's, I mean A.G Riddle's first volume, The Atlantis gene, wasn't actually that bad. There were two protagonists, an autism research Doctor called Kate and an intelligence officer, from some outfit called the Immari whose existence was never really made clear, who single-handedly try to stop er....something.....from somebody. Yeah it was that good. The early action is quite fast-paced and I got an air of FPS Computer game. Something along the lines of FEAR or maybe Deus Ex. This limps along after the initial flurry of action and ends up in caverns somewhere under the Antartic and Rock of Gibraltar. There doesn't seem to be any exciting aliens or, indeed, shape-shifting or mind altered zombies or monters appearing anytime soon, but nonetheless I decided to plough on with this one, the second in the trilogy. It started well enough after the closing moments of the first volume, what with Nazi submarines stuck in the ice and tubes containing Neanderthals, but then we discover that our hero, Paul is aparently somebody else and is a superman of some kind who gets shot yet still carries on remorselessy. Kate has become some sort of snivelling whinger obssessed with two noisome kids who were part of her research project. At this point I was so exasperated by these stereotypical characters and their tedious 'journeys' that always seems to be the core plot of this kind of novel, and just gave up. I don't normally, but this was just so ghastly and predictable that I found I just didn't give a damn about their shenanegans let alone the equally predictable love angle that was hinted at in the first book and sure to appear at some point here. Woah! Second book, better than the first! How often does that happen?!? I struggled to put this book down. It's still got some of that 'made to be a movie' feel to it, but I still stand by that not always being a bad thing. It continues to gluttonously feed that 10 year old part of my brain that could never seem to get enough of the idea of a lost ancient civilization. If that over-caffeinated, sugar-addled brain had been able to focus enough to write the coolest story about Atlantis ever, this Woah! Second book, better than the first! How often does that happen?!? I struggled to put this book down. It's still got some of that 'made to be a movie' feel to it, but I still stand by that not always being a bad thing. It continues to gluttonously feed that 10 year old part of my brain that could never seem to get enough of the idea of a lost ancient civilization. If that over-caffeinated, sugar-addled brain had been able to focus enough to write the coolest story about Atlantis ever, this is what he would have written. Probably with less girls, though. I'd say you could read it out of series, because the author does provide most of the background information (mostly in ways that move fluidly, though there's a few that feel a little "in last week's episode") you need to engage in the story, but you're just cheating yourself if you don't. You'll be so much more floored by the sheer scale of this story and the tangled webs the author manages to weave right behind your back. The second installment of this story made me eat some lines from my review of the first book. This book really got my brain spinning pretty often wondering about the origins of life, intelligence, and what human nature really means. The author weaves a vast knowledge of history (and artistic manipulation) into science, evolution, and genetics, then bundles it all into an action thriller that will keep you turning pages well past bed-time. If you like wondering about the origin of life, and occasionally like it spiced up with some sci-fi, seriously, pick up this series. It's a lot of fun. Die Forscherin schlug die Augen auf und schüttelte den Kopf, um die Benommenheit loszuwerden. Das Schiff hatte den Aufwachprozess beschleunigt. Das Buch ist aus der Sicht eines auktorialen Erzählers geschrieben und berichtet aus der Sicht verschiedener Personen. Eine davon ist Dr. Kate Warner. Kate ist eine Wissenschaftlerin, die eigentlich nur ein Mittel gegen Autismus finden wollte, aber nun als die Schuldige angesehen wird, die das Atlantis-Virus freigesetzt hat, auch wenn es in Wahrheit die Immari waren. Sie ist stark, mutig und entschlossen für die Menschen einzutreten, die ihr etwas bedeuten und ein Heilmittel zu finden, auch wenn sie sich selbst dabei verlieren könnte. Ich konnte mich wirklich gut in sie und die anderen Charaktere hineinversetzen und fand ihre Gedanken und Handlungen nachvollziehbar. Die Charaktere entwickeln sich weiter, geraten an ihre Grenzen und wachsen über sich hinaus. Dieser Teil setzt kurz nach dem letzten Band an. Auch diesmal wird stark ins Detail gegangen, was technische, medizinische und historische Fakten angeht, was aber wichtig ist, um den gesamten Hintergrund zu verstehen, der hinter dem Atlantis-Virus und dem Experiment steckt, was gestartet wurde. Man bekommt mehr Hintergrundinformationen und es werden wieder einige Fragen beantwortet, was mir gut gefallen hat. Das Buch konnte mich von Beginn an fesseln und mitreißen. Es gibt überraschende Wendungen und Entwicklungen. Der Schreibstil der Autorin ist angenehm und flüssig zu lesen. His debut novel, The Atlantis Gene, is the first book in The Origin Mystery, the trilogy that has sold a million copies in the US, is being translated into 19 languages, and is in development at CBS Films to be a major motion picture. The trilogy will be in bookstores (in hardcover a A.G. Riddle spent ten years starting internet companies before retiring to pursue his true passion: writing fiction. His debut novel, The Atlantis Gene, is the first book in The Origin Mystery, the trilogy that has sold a million copies in the US, is being translated into 19 languages, and is in development at CBS Films to be a major motion picture. The trilogy will be in bookstores (in hardcover and paperback) around the world in 2015. Riddle grew up in a small town in the US (Boiling Springs, North Carolina) and graduated from UNC-Chapel Hill. During his sophomore year of college, he started his first company with a childhood friend. He currently lives in Florida with his wife, who endures his various idiosyncrasies in return for being the first to read his new novels.